Buying good athletic shoes can be tricky sometimes. With the many runner’s choices available, you’re bound get overwhelmed somewhere along the way. Should I buy basic trail running shoes? Or do I need some heavier gear? 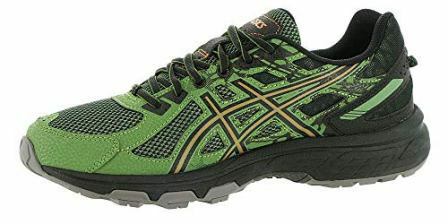 Asics, a reliable footwear company, came up with a good compromise between price and activity-based durability: the Asics Gel Venture 6. 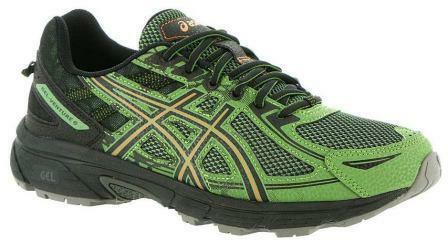 Gel Venture 6 is a highly stable trail shoe built with high traction for maximum comfort in rough terrains. With the solid gel cushioning system, FlyteFoam midsole and AHAR outer sole, the Venture 6 is the perfect choice for men and women looking to take adventure in the wilderness, hike steep terrains, or even take long dance lessons. Because I am such a big fan of cross-functional gear, I decided to give the Venture 6 a test run on my 3-day hiking adventure. The versatility of the shoe to adapt to rocky hills and unpaved roads was evident as it performed quite well for its price. This shoe features many qualities that any runner would expect from a shoe, from aggressive lugs and solid design to soft inner cushions and a meshed stylish peripheral. This shoe employs a sophisticated modish upper design. For starters, a synthetic mesh covers the upper part of the shoe for feet breathability and aeration. Since the mesh is made of lightweight materials, you can easily keep your feet dry while walking for long distances. That’s two birds with one stone! A removable sock liner is built in the shoe’s design to accommodate orthotics and to ensure your feet stay dry while running in the rain. If you hate picking up gravels in your shoe while walking, you will also love the plush tongue and collar stitched in the shoe. They help a great deal to prevent sand and other particles from finding their way inside the shoe. A toe bumper adds to the security of the shoe while walking on rocky grounds to protect your toes from direct impact when you trip. When it comes to weight, Venture 6 weighs about 11.2oz, which is impressive for such a rugged shoe. The semi-curved design of the shoe is made to mimic the natural posture of the human foot for good adaptability. And the supportive heel collar helps to maintain your pronation during long walks and runs. Asics have been a little sluggish in the midsole area of most of their shoes, but Gel Venture 6 has a different story to tell. With the new Gel Technology, the shoe definitely comes with an updated midsole that has an extra cushioning system for shock absorption and smooth transition with every bump of the foot. I received a better return on energy and was able to walk for miles without getting tired. The outsole of the shoe is made from high density AHAR rubber which enhances its durability. Multi-directional lugs are fitted to improve the foot’s grip and the shoe’s traction during trail running. On my adventure in the rocky hills, it was clear that the outsole was made to accommodate such harsh environments without wear and tear. It was able to withstand all kinds of debris and abrasive elements from the trail. While there have been complaints about its sizing, in my experience, the Gel 6 was true to fit. The shoe’s flexible design was able to maintain and support my arch perfectly without any feet soreness whatsoever. This, along with the 10mm drop in the shoe, served well in the shoe’s responsiveness by improving the toe-off. We all have different feet. 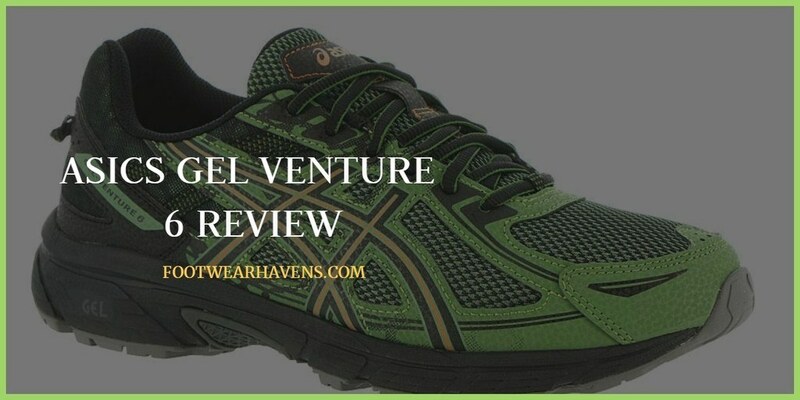 And while people with an aligned arch and wide feet may have some problem with the shoe’s size and fit, one thing is clear: the Gel Venture 6 is a major upgrade from the previous Asics men’s and women’s shoe models. This time, it’s redesigned to accommodate a wide range of sporting activities. Whether you are a backpacker or a city jogger, this shoe is a wise choice for your trail running needs. And the best part is that its price is set to a low minimum for a shoe in its class. With a good balance between activity-based durability and its price, the Asics Gel Venture 6 is definitely a pair you don’t to miss in your collection of trail running shoes. Read this review to learn more about why we highly recommend this model.